How often do you check your outside dryer vent during the winter? If you’re like most people, you probably said, “Never.” However, during the winter, your dryer vent flapper can freeze shut due to rain and falling temperatures. Or, snow can pile up around your outside dryer vent. When you run your dryer, the snow will melt. Once the dryer shuts off, the water will refreeze the louvers shut. Your dryer vent plays an essential role in drying your clothes. It helps expel hot air and moisture from the dryer to the outdoors. If you didn’t have a dryer vent, all the hot air and moisture would end up in your home where it could cause wood rot and mold growth among other issues. Your dryer wouldn’t operate properly. You may find that it takes longer to dry your clothes. Your clothing may feel hotter than usual at the end of the drying cycle. Or, your dryer may shut off before the end of its cycle. Airflow to your dryer would be reduced. When your dryer’s vent flapper can’t open properly, fresh air can’t get into your dryer. Therefore, your dryer wouldn’t work properly and could overheat, leading to a home fire. About 20,000 dryer fires occur in the United States each year. And 32% of these fires are due to a malfunction like frozen vents. Lint can build up inside your dryer. Lint buildup can cause your dryer to overheat and eventually catch fire. Some signs of excess lint are lint buildup inside and outside your dryer and lint blowing out into the room. If you have a gas dryer, you and your family could become sick – or even die – from carbon monoxide poisoning. Carbon monoxide is a toxic gas that’s produced when natural gas is burned. When your vent is blocked, carbon monoxide can escape into your home. 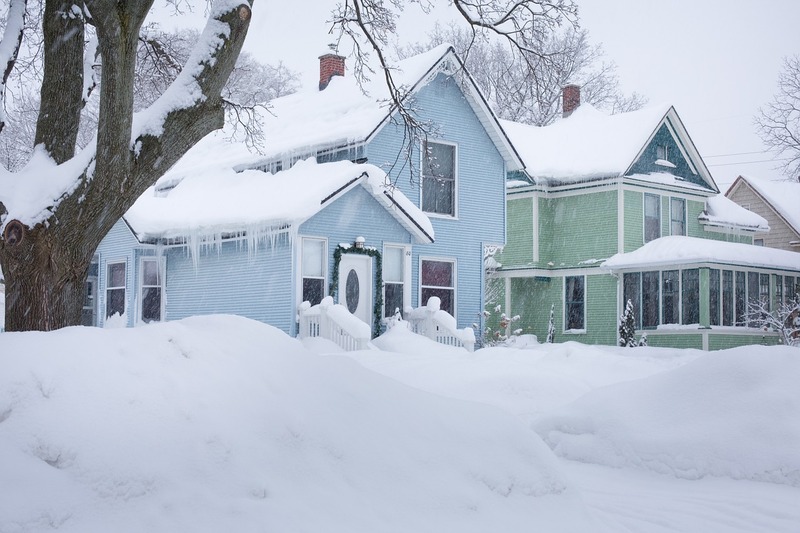 If you find that your dryer vent has frozen shut, a simple solution is to use a hair dryer to melt the snow and ice. Wipe each louver dry with a cloth. Apply a thin layer of petroleum jelly to the inside lower edge of each louver with your finger. The petroleum jelly will help prevent the louvers from freezing together and cause water to flow away from the edges. As a long-term solution to make sure your dryer continues to operate efficiently, contact T.J.’s Chimney Service and have your dryer vents thoroughly inspected and cleaned. Each year about 32% of home fires are caused by the homeowner’s failure to properly clean their dryer. So reduce your risk of a dryer fire by having your vents professionally serviced by T.J.’s Chimney Service. Imagine you go into your laundry room to check on the clothes in the dryer and you find that the room is on fire. From 2009 to 2011, on average, 6,000 residential fires were caused by clothes dryers, resulting in $75.3 million of damage, according to the U.S. Consumer Product Safety Commission. Clothes take a longer time to dry. If clothes are hot and damp at the end of the cycle and require another cycle to finish drying, the vent is probably blocked. The dryer is designed to push the heat and moisture out the vent while drying. If that heat and moisture can’t get out of the dryer due to a blockage, the dryer will work harder, building up heat which can lead to a fire. The top of the dryer is hot to the touch while it’s running. If your dryer is hot to the touch, it means heat isn’t being exhausted out of the dryer properly due to a blockage. A clogged dryer vent can cause the dryer’s heating element to overheat, leading to a fire. The dryer keeps shutting off before the end of the cycle. If your dryer shuts itself off during a normal drying cycle, your dryer is overheating. Lint buildup can cause your dryer to work harder and overheat. An overheated dryer can lead to a fire, but the overheat shutoff helps keep the dryer from catching on fire. The outside dryer vent hood flap isn’t opening properly when the dryer is running. Lint buildup can restrict air flow through the dryer hose and outside vent opening, causing the flap to not open like it’s been designed to do. It’s been over a year since you’ve had your dryer vent inspected and cleaned. Appliance manufacturers recommend you have your dryer inspected and cleaned annually to ensure it’s working properly. To reduce the risk of dryer fires, hire a professional vent cleaning company like T.J.’s Chimney Service, located in Greenfield, IN, for a thorough dryer vent inspection and cleaning. Our trained technicians can resolve any issues before they become more serious problems. Plus when your dryer is operating more efficiently, you can save on your energy bills. Call us today at 317-455-5310 to schedule your appointment. At least once a week – maybe more – you likely do laundry. After you wash your clothes, you throw them into the dryer – probably without too much thought about it. But did you know clothes dryers cause about 2,900 fires each year in residential buildings? 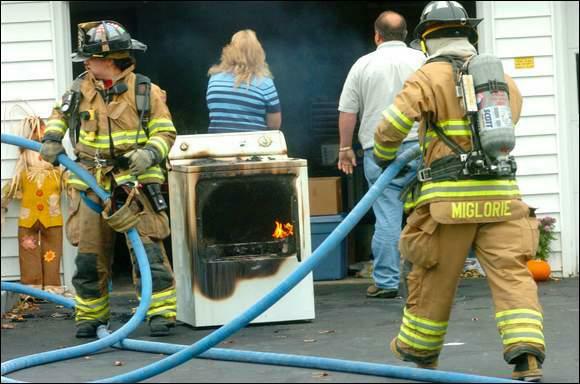 According to the National Fire Incident Reporting System (NFIRS), lint is a leading cause of combustion, accounting for 28% of all residential dryer fires. Lint is made up of small fibers from clothes and other debris found on or in your clothes. It’s created as your clothes tumble in the dryer’s drum. While much of it collects in the dryer’s lint filter, some of it can become trapped inside your dryer and the rest is carried on the moist air through the vent system, where it sticks and accumulates. How Can Lint Cause Fires? Lint is a highly combustible material. It can collect on the electrical wiring inside and outside of your dryer. If a spark occurs due to wiring issues, lint can fuel this spark, leading to a fire. Also, since lint can build up on your dryer’s heating element and in the vent system, it can cause your dryer to overheat due to overwork. A spark can then occur, igniting any lint present. What Can You Do to Prevent a Lint Fire from Occurring? Clean the lint filter before every load – even if it’s just a small amount. Clean the lint filter with soapy water and a nylon brush at least every 6 months or more frequently if it becomes clogged. Don’t operate your dryer without the lint filter in place or if it becomes damaged or clogged. Clean the outside of your dryer regularly, especially the back where lint can build up. Clean the inside of your dryer regularly. Remove the lint filter, and with a lint brush or vacuum attachment, remove any accumulated lint inside your dryer. At least once a year, have a qualified service technician vacuum the lint out of your dryer. Disconnect, inspect and clean the dryer vent regularly. Or, hire a professional dryer vent cleaning company, likeT.J.’s Chimney Service in Greenfield, IN, to clean those hard-to-reach vents. Our technicians will inspect your dryer ducts for any issues affecting the operation of your dryer and clean the lint from your dryer vents. A thoroughdryer vent cleaning not only can protect your family from a fire, but it can help increase your dryer’s efficiency and lifespan.Contact T.J.’s Chimney Service today to schedule yourdryer vent inspection and cleaning. The surfaces of your ducts or other AC components have substantial, visible mold on them. Rodents, insects or other vermin are living in your ducts. The ducts are clogged with dust and debris that’s being released into your home through the air supply registers. How can you tell if you need to have your ducts cleaned? 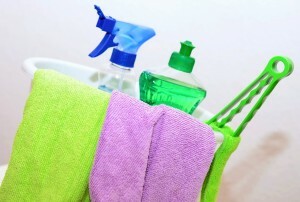 Your home has a musty or moldy smell. You see dust or dirt on the air vents or on the ceiling or wall above the vents. Dust accumulates on surfaces quickly after removing it. 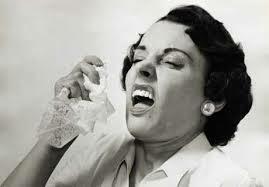 You start sneezing when you’re near an air vent. If you’re tired of suffering from allergies, schedule a duct cleaning appointment with T.J.’s Chimney Service in Greenfield, IN. We’ll clean all the registers, vents and cold air returns in your home – sanitizing and deodorizing each vent, too. An average home with 20 or less vents takes between two and three hours to clean. Get rid of the allergens in your home and breathe easier – contact T.J.’s Chimney Service today. Which Is Better….Professional Service or DIY? Now is the time when many homeowners are thinking about making home improvements. Money may also be a factor when deciding to make an improvement or not. Many may take the stance of tackling the project themselves in order to save some funds and prevent their savings from being depleted. There are many things to consider before starting a DIY (do it yourself) project. Although do-it-yourself home improvements do have their benefits, it is important that you determine which projects can be done on your own and which would be better off in the hands of a qualified contractor. Small projects like painting a room is an easy project that can simply be done and won’t take up much of your time. Larger and more detailed projects like cleaning dryer vents or cleaning a chimney are projects that are better left in the hands of a professional. It may cost more but the extra cost is worth it in the end to ensure the safety of yourself and your family. Professionals have experience and will have the knowledge to fix any issues or snags that pop up while a job is being completed. A professional will also be able to better determine what repairs are necessary and what repairs you do not need. Hiring a professional may seem like a headache but in the end it is the best way to keep your home in top condition and avoid injury to yourself or family. Choosing a professional to help with home improvements does not have to be stressful or daunting. The first step is finding a professional that you can trust. We would like to help you with taking that first step! We offer many different services specific to dryer vent cleaning and chimneys and would be happy to help determine what repairs are needed to get your home in tip top shape. Simply give us a call 317-462-4759. If you have had your dryer for a number of years it is probably time that you have the dryer vent and dryer catcher cleaned by a professional. There are many steps that go into cleaning the dryer properly. We highly recommend having a professional, like TJ’s Chimney Service, to come out and clean and check your dryer vents to make sure that everything is working properly. There are many different manufactures of dryers and they are not necessarily all alike. We have experience with many different dryers and will be able to assist you. Having your dryer vents and dryer filters cleaned every year or every few years is very important. Many house fires have been started because of lint build up. Lint is highly combustible material that can build up in the dryer vent and dryer filter, so it is important that you have your appliance cleaned regularly. For more interesting facts check our previous blog Is Your Dryer Vent A Hazard. If you are curious as to what the process of cleaning the vents and dryer filters are we found a YouTube video created by Appliance Help Online that walks through the steps of cleaning a dryer. This video was done by a professional appliance mechanic and we highly recommend that you seek a professional service to complete this task to ensure the safety of you and your home. Not only will cleaning the vents decrease your chance of fire it will also help cut down on drying time of each load of clothes. Who wouldn’t be happy with that? Your dryer vent and filter should be cleaned every year. If you dry more than four loads a day you may want to have the vent and filter cleaned every six months. Give us a call today 317-462-4759 to discuss our services.